Rev Canon Dr Kenneth Kearon. The Consecration of Kenneth Kearon as Bishop of Limerick and Killaloe took place in Christ Church Cathedral in Dublin on Saturday. The service was led by the Archbishop of Dublin, The Most Reverend Dr Michael Jackson, and the Bishop of Meath and Kildare, The Most Revd Pat Storey, and the Bishop of Tuam and Killala, The Right Reverend Patrick Rooke, were co–consecrators. 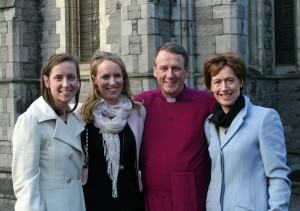 Alison and Rachel with their parents, Bishop Kenneth Kearon and Jennifer Kearon. 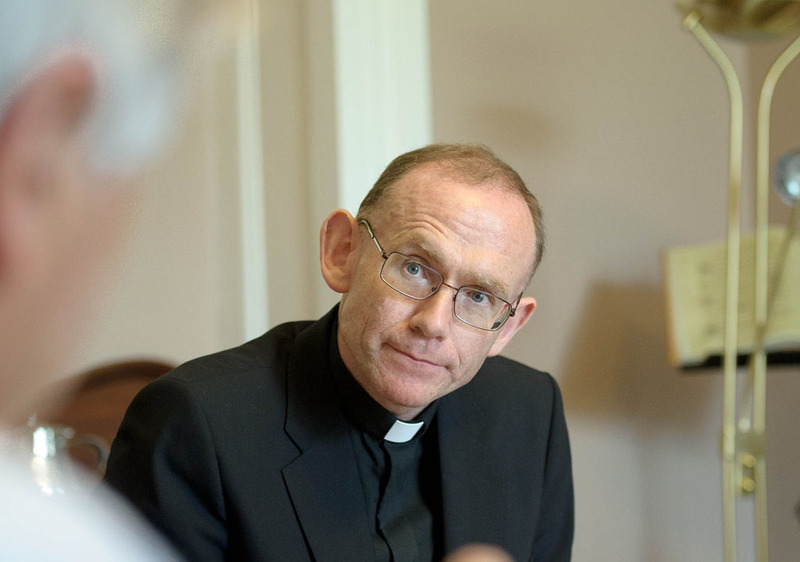 Photograph by Paul Harron, Church of Ireland Press Office. The preacher at the service was a friend of Bishop Kearon, the Most Revd Dr Barry Morgan, Archbishop of Wales. As well as Archbishop Morgan and a number of serving and retired bishops of the Church of Ireland – including The Right Reverend Sam Poyntz, the new bishop’s father–in–law – Bishop Kearon’s consecration brought together a large number of attendees from across the Church of Ireland, the wider Anglican Communion and, notably, the Methodist Church in Ireland also. The President of the Methodist Church in Ireland, the Revd Peter Murray, along with the Revd Donald Ker, former President and General Secretary of the Methodist Church in Ireland, and former President and Co–Chair of the Covenant Council, the Revd Winston Graham, joined with other bishops in the laying on of hands on the new bishop – the first time that participation by Methodist leaders has taken place. 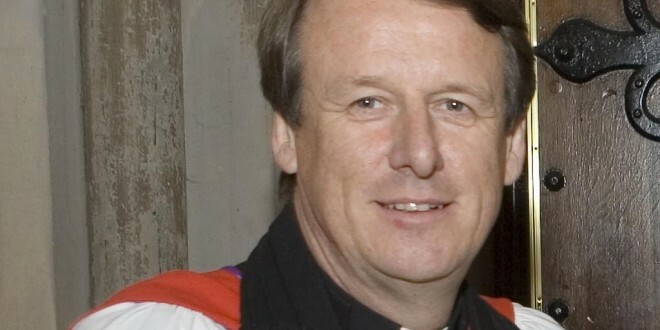 “Life as a bishop is like a ride on a zip wire … Just as zip wire riders need someone to launch them at the start and haul them in at the end, so too a bishop sets people off on their sometimes daunting journeys of faith and holds them safe as they travel,” said Most Revd Dr Barry Morgan. “A bishop is someone who climbs onboard the ride first – to lead by example”, he added. Among the large congregation Bishop Kearon was also surrounded by many family and friends at the service, including his wife, Jennifer, and two of his three daughters – Alison and Rachel; his daughter Gillian is living in New Zealand and was unable to attend. Bishop Kearon’s mother, Ethel Kearon, was joined by his sister, Lynda Goldsmith.